Because I was so busy attending workshops and manning our booth on the trade show floor, I didn’t get a chance to walk around Vegas and see the sites. It was very sunny and 105 degrees during the day, so it’s just as well I didn’t venture out. I would have baked — or roasted out there. The good news is that I didn’t neglect to take some photos. (For those of you who don’t know me, I’m a diehard photo enthusiast and wannabe professional photographer.) I took the photo above at the crack of dawn the other morning from my hotel room. The light of dawn is the best time of day for landscape photography, according to the pros. Of course, this photo would have been much better if I had taken it with my Nikon D5000, but I had to settle for my Nikon Coolpix. I didn’t want to risk bringing my expensive camera equipment on my trip and risk getting it stolen. 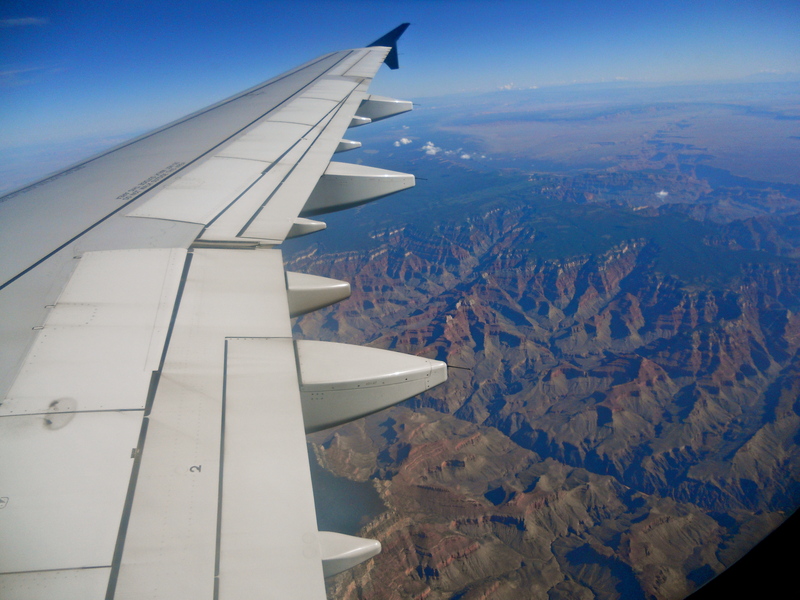 I got a cool shot of the Grand Canyon (see left) on the plane ride to Vegas in addition to another mountainous shot from above. 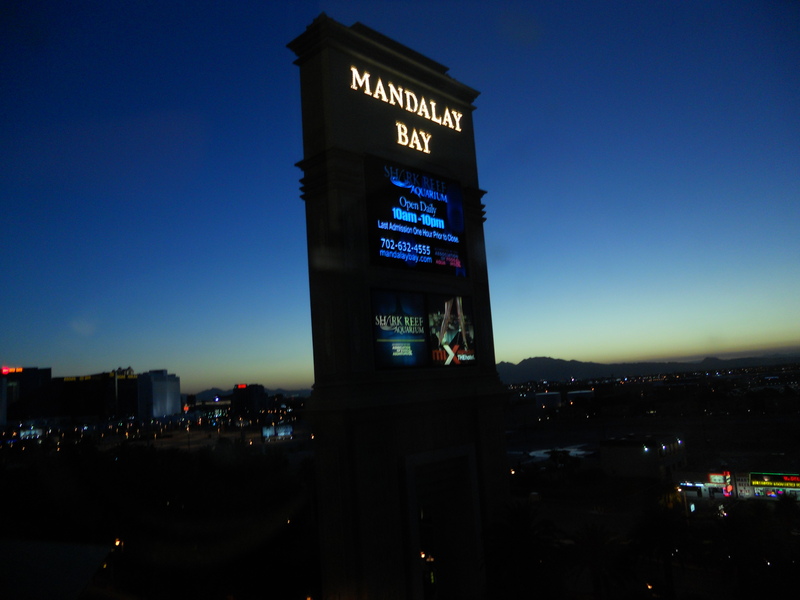 The Mandalay Bay Hotel & Casino where I stayed is a beautiful hotel. And it is humungous. It was crowded with vacationers and convention attendees. The bright lights and restaurants kinda reminded me of New York City. However, during the day, the casino was pretty empty. 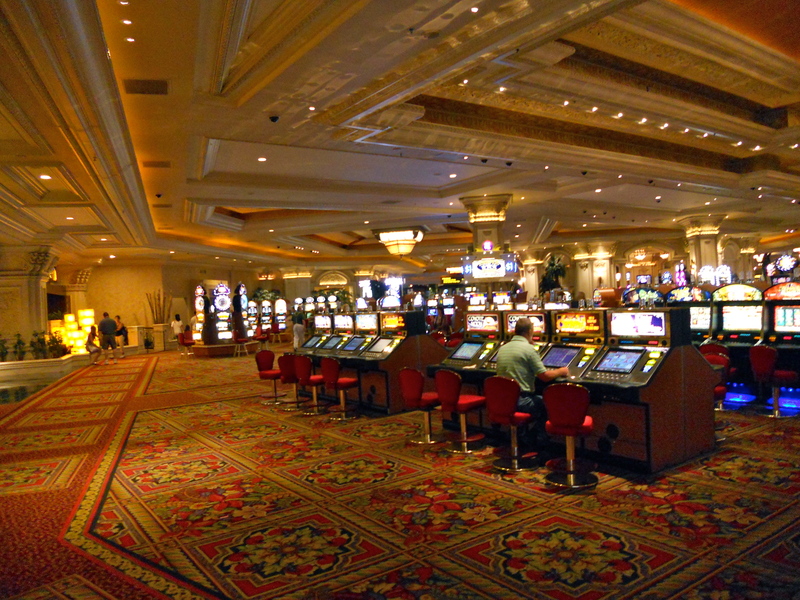 Not too many people were at the slot machines, and the black jack tables were vacant. I felt sorry for the dealers who were just standing there and had no one for whom to deal cards. They must have been bored stiff. The number of restaurants from which to choose was abundant. 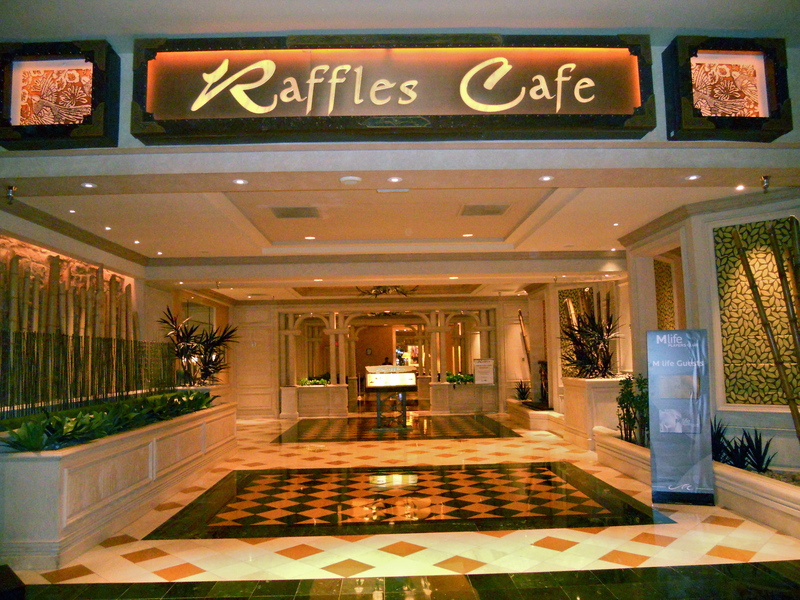 However, I ate at Raffles Cafe most of the time for breakfast and dinner. It was convenient and reasonably priced. Not all of the food was good, but their Teryaki Chicken and Rice dish was delish! 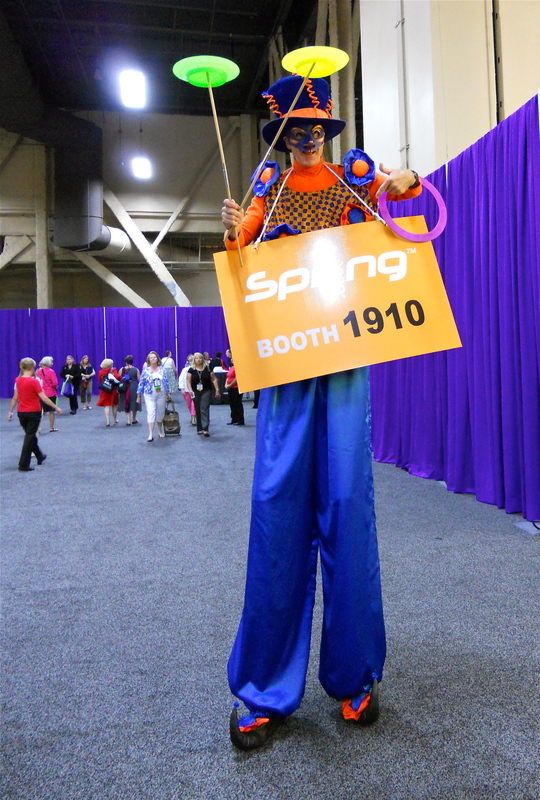 The highlight of the trade show was the man on stilts — the mascot for the company Spring, makers of the next-generation smart diabetes delivery solutions, such as traditional insulin pumps and infusion sets. He was quite entertaining as he twirled plates on a stick, told jokes, and walked around luring conference attendees to his booth. He was gracious enough to let me take some snapshots. Vegas was fun. I got to meet many of the readers of Today’s Dietitian. After flying on the red eye last night, as you can imagine, I’m pretty tired right now. But I’ll be OK. Until my next venture, I’ll see you on LinkedIn and in the rest of the world of cyberspace.